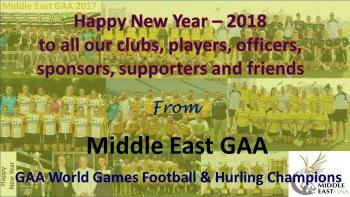 Wishing all our Middle East GAA Clubs, Players, Officers, Volunteers, Sponsors, Supporters and friends continued success for 2018. With thanks to all of you, who have made the Middle East the fastest growing and most successful International GAA community on the planet. 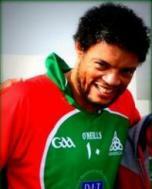 “Athbhliain faoi shéan is faoi mhaise daoibh go léir"